This is an excellent opportunity to join Amazon's world class technical team in either Seattle, WA or Herndon, VA, working with some of the best and brightest engineers and technical managers while also developing your skills and furthering your career within one of the most innovative and progressive technology companies anywhere. Amazon Web Service is building some of the largest distributed systems in the world. 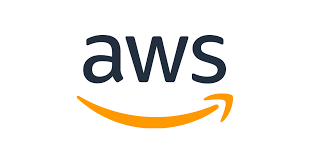 Amazon's database offerings like Aurora, DynamoDB, ElastiCache, EMR, RDS, and Redshift are massively scaled services that make up a critical piece of the internet today. Be great fun to work with. Our company credo is "Work hard. Have fun. Make history". The right candidate will love what they do and instinctively know how to make work fun. Have strong Linux & Networking Fundamentals. The ideal candidate will have deep experience working with Linux, preferably in a large scale, distributed environment. You understand networking technology and how servers and networks inter-relate. You regularly take part in deep-dive troubleshooting and conduct technical post-mortem discussions to identify the root cause of complex issues. Love to code. Whether its building tools in Java or solving complex system problems in Python, the ideal candidate will love using technology to solve problems. You have a solid understanding of software development methodology and know how to use the right tool for the right job. Think Big. The ideal candidate will build and deploy solutions across thousands of devices. You will strive to improve and streamline processes to allow for work on a massive scale. This position can be located in either Herndon, VA or Seattle, WA. Please email [email protected] if you have any questions about this opportunity. Thank you for your interest!